Look at all that attacked trash! April is a big month for cleaning up our home, whether it is for National Volunteer Week next week for the U.S. Forest Service, National Park Week with free entrance to National Parks Sunday, April 20th in honor of Earth Day (April 22nd); the whole week park visitors are encouraged to help clean up our camp areas and heavily traveled wilderness trails. 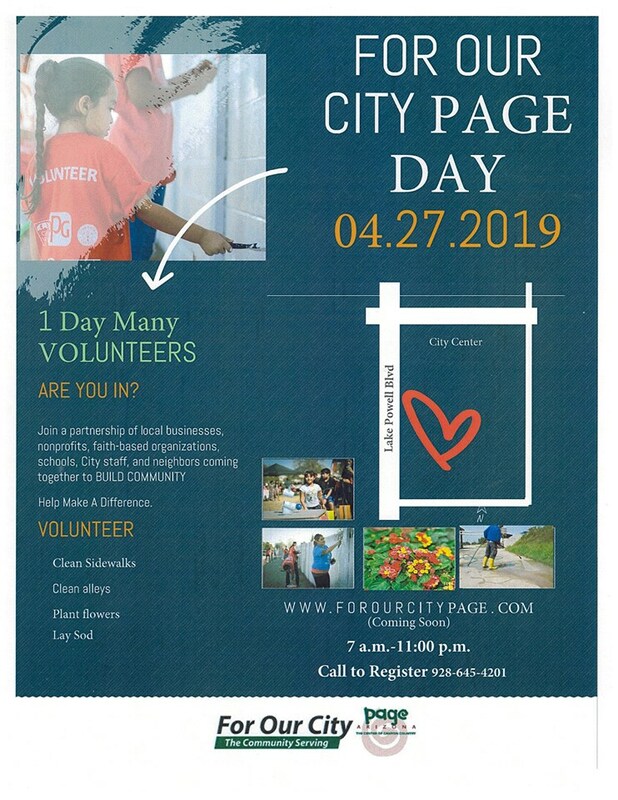 Here in Page three big projects underway to help clean up our community on April 27th, both the Page Attacks Trash project and the For Our City Page Day will have volunteers out in the community working hard to put a fresh face on our city. Page High School students are also asking for the community’s help cleaning up April 26th for a day they call Devils in Disguise. Lots of opportunities to lend a hand in your own neighborhood, many volunteers are needed to help us keep our incredible home beautiful and worthy of the five million visitors that come through Page each year. 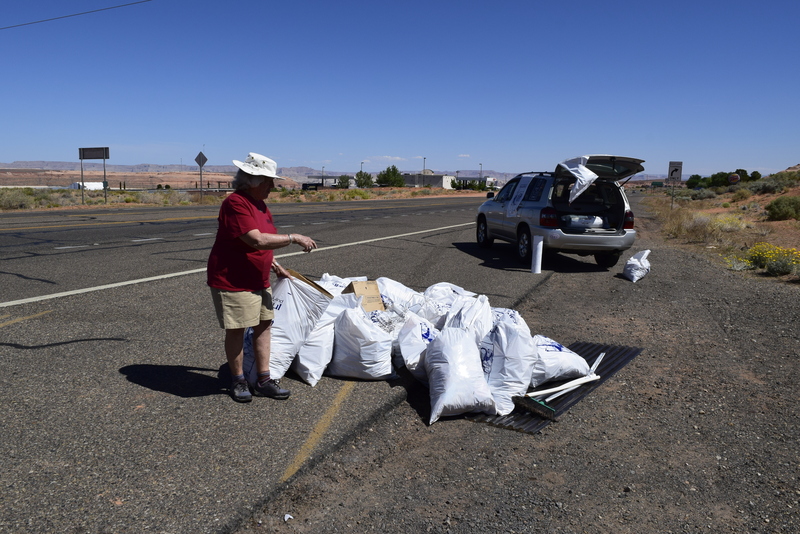 For more information about Page Attacks Trash visit the City of Page website.